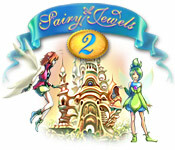 Fairy Jewels 2 is rated 2.1 out of 5 by 7. Rated 5 out of 5 by OdeyG from Fun Match game I really like this game a lot. I did the trial version first to see if I would like it, & I do. Now I'm buying this game. I notice there is a part 1 & 2 of this game & both are fun to play so I'm buying both games & so should you. Rated 3 out of 5 by YoPyomed from ok, but nothing special nice pastime, no more no less. Rated 2 out of 5 by mkallen from A real step down from Fairy Jewels 1! Looks to me like a lot of people complained that Fairy Jewels was too hard (it IS hard) - and so we got this dumbed down version as a sequel. I'm on level 70-something and have only felt challenged in ONE, count them, ONE level. The storyline is pathetic; who writes this stuff? (And please, someone, give them a dictionary and a spellchecker...) The music is far less appealing than in the first game, and the sound effects worthless - in the first game, bombs going off gave a nice satisfying blast). The cannon feels more like a squirt gun. There are all sorts of new gimmicks in this game, but none of them really add any meaningful challenge, nor are the more helpful aspects really all that helpful! One needs to collect coins to restore the fairy village along the way - big whoop. I intend to finish the game just to get through it but I don't expect to ever go back to it, whereas I've already played Fairy Jewels 1 about five times and look forward to playing it again. If you folks come out with a #3, take a look at the STRENGTHS of the first one and build on that - wipe out a few of the glitches that it did have, and create something worth playing. Rated 2 out of 5 by mrm2006 from A Cute Game ...... Ruined ....................... By way too much conversation. Graphics: Okay. Colors recognizable. Scenery bright and fairy looking. Sound: Background music was nice - didn't need to turn off, just tune it down a bit. Sound effects predictable. 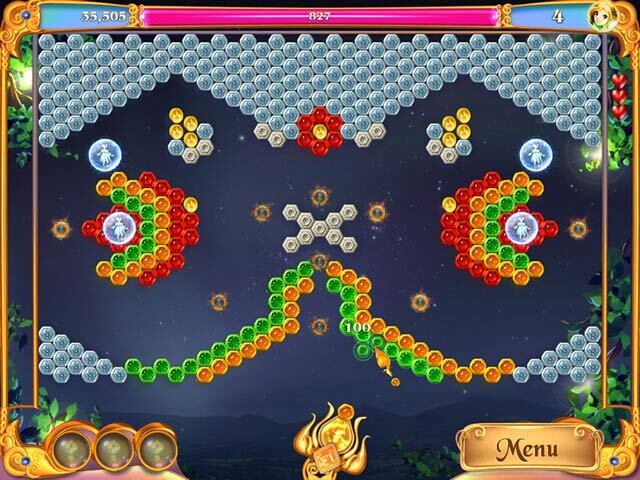 Game Play: Free the fairies by shooting a colored ball at a group of like colored balls to make them disappear. Also, shoot the coins for extra points. 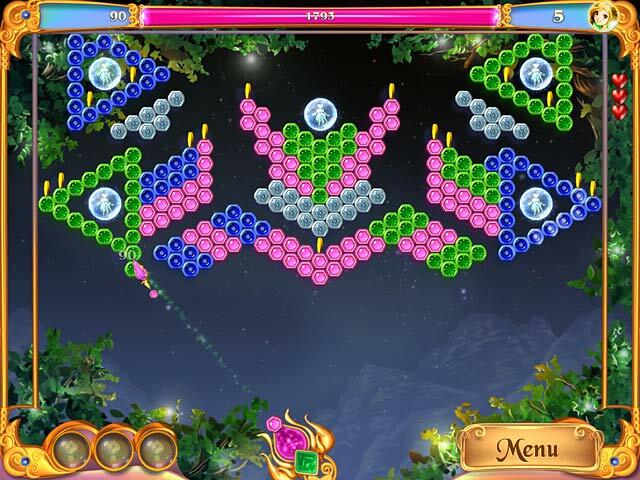 Bonuses appear throughout the game. Could have been a nice game if not for the fact that most of it was useless, inane conversation among too many characters who have really nothing to do with the story. Language starts out as proper English than has displays of "kid" talk. Seriously, no consistency. Although I will not be purchasing this game. I encourage everyone to at least give the demo a try. It's free and only an hour (although I had enough after level 2). Happy Gaming to All! Rated 1 out of 5 by Deeisme from Fairy WHAT? I thought the 1st game was hard and bad but this game is just bad and a waist of time. This number 2 is no fun at all. Play the full 60 min. of free stuff, if you can. The real fairys would be angry at both of these games. Rated 1 out of 5 by poodoo999 from Game has technical glitches I had hoped that this game would be as challenging as the original Fairy Jewels. Unfortunately I'll never get to find out. The game has a glitch so that on level 3, as soon as I made my first move, the game closed itself. I tried restarting it 3 times, same thing happened, and I finally gave up and uninstalled it. (Running on Windows 10) From what I could see in the first couple levels, though, this game is much more simplistic than the first game was, and did not appear to be challenging at all. Another reviewer called it a dumbed-down version, and they were right. 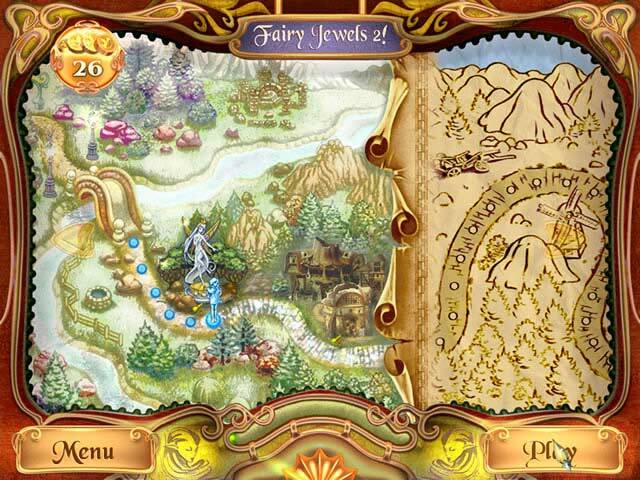 This is more a Fairy Jewels game for young children, since the original one may have been too challenging for them. If you can get it to work on your computer, it might be a great game for your 5-year-old.